China is an attraction site for businessmen, tourists, and students. The Beijing Olympic Games in 2008 showed the world that China is prominently on the global stage. Millions of people worldwide visit China every year. It offers an unparalleled adventure in the eastern hemisphere. In China, ancient treasures are juxtaposed against modern skylines and architecture. There are world class hotels and cuisine in the same country where ancient Chinese medicine is practiced. It proves to be a safe destination with a low crime rate. China is no longer an enigma. Americans are traveling there in increasing numbers. Business ties between the countries are strengthening. Many American high school students are studying the Chinese language. 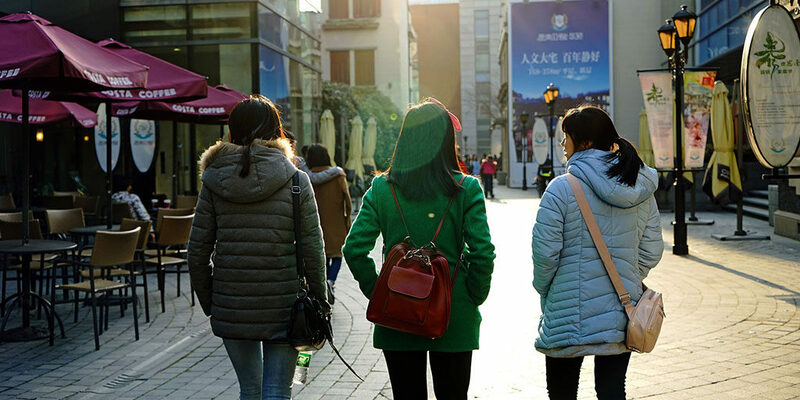 Study abroad programs in China are flourishing. Are There Health Risks With Traveling in China? Travelers to China might face health risks. Certain diseases like Avian Flu and SARS have been the concerns of those who visit China for several years now, but they cannot be considered as major health threats for you while there. You may also want to consult with travel doctors to see whether or not there is a need to worry in the first place. One of your other concerns when traveling to China should be the water that you drink or use for brushing your teeth. At hotels and restaurants, there is usually bottled water on the menu. But it is strongly advisable that you boil the water before drinking/using it from the water tap. There might be signs reading the same warning at hotel bathrooms, but even if no sign is there, you should still take safety measures. It is a relief to realize that there are convenience stores almost everywhere in China where you can find bottled water. Travel doctors also recommend that you avoid eating raw vegetables if your stomach is particularly very sensitive. It is a rule of thumb that if a restaurant is quite crowded, then the food is most probably fresh. This holds true especially if the crowd is of local people. Many illnesses can be prevented or effectively treated if the traveler is prepared and has received essential travel vaccinations. Tourists, businessmen and travelers returning to China to visit friends and relatives (VFRs) should consult with a travel doctor several weeks before departure for travel vaccinations and travel safety tips. VFRs returning to their birth countries often wrongly believe that they are still immune to local diseases, but this is not the case. It is not a must that you have specific vaccinations requirement when you are traveling to china but travel medical personnel may refer your daily immunization to be up to date for the following: Tetanus-diphtheria (DPT), measles/Mumps/Rubella (MMR), Varicella (Chickenpox). Moreover, if you are arriving in China from a Yellow-Fever-affected area, you are supposed to have proper vaccinations. Some other immunizations recommended depending on your age and the area you are planning to visit are Hepatitis A & B, Typhoid, Japanese Encephalitis and Rabies. Travel doctors also advise you to see your physician especially one whose expertise is travel medicine about a month before your visit. You are also advised to visit a travel doctor if you anticipate visit China for a period of longer than 3 months. Typhoid Hepatitis Rabies (depending upon your itinerary) Japanese encephalitis (for rural travelers) Poliomyelitis (adults may need a booster) some diseases present in China have no available travel vaccines, such as malaria, dengue, and schistosomiasis. Your travel doctor can give you important tips on minimizing your risk of contracting these diseases. Having said all about the worries and concerns of traveling to China, the chances are that you will enjoy paying a visit to China and make the time of your life in this culturally rich country if you take the advice from travel doctor seriously. Finally, Seek medical attention if you or someone you are traveling with develops flu-like symptoms in a high-risk bird flu area. While many diseases can be prevented by travel vaccines, there are many others that can’t. Others, such as Malaria, traveler’s diarrhea, norovirus and bird flu do not have vaccines available, and travelers need to take precautions. Your adventure in China is waiting. Travel safe.